The memorial gathering will be at Annunciation Catholic Church in Fox Lake on Monday, November 20, 2017 from 10:00 a.m. until 11:00 a.m. The Mass of Christian Burial will follow at church on Monday at 11:00 a.m. with Fr. John Radetski officiating. Inurnment will be at St. Mary's-Annunciation Catholic Cemetery in the Town of Trenton, Dodge County, Wisconsin with military honors provided by the Fox Lake American Legion Post #521. Gerald Frank Tolsma was born on November 5, 1930 in the Town of Trenton, Dodge County, Wisconsin to John and Augusta (Bauer) Tolsma. He was a 1948 graduate of Fox Lake High School. Gerald honorably served in the United States Army in Korea from 1951 to 1953, receiving the Combat Infantry Badge and the UN Medal. In October of 2014, Gerald had the privilege of participating in the Badger Honor Flight. On December 26, 1951, he was united in marriage with Marvel Linck at St. Gabriel's Catholic Church in Randolph. Gerald was a member of the Fox Lake American Legion Post #521. Gerald received an associate's degree from Moraine Park Technical College in Fond du Lac and worked at the Wisconsin Department of Corrections. Gerald received an award for his 38 years of service to the State of Wisconsin, retiring in 1991. 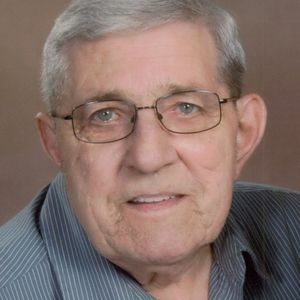 He was a lifetime member of Annunciation Catholic Church in Fox Lake. Gerald and his wife spent several winters in Arizona and enjoyed camping. Gerald was an avid Badger and Packer fan. Memorials may be made in Gerald Tolsma's name to the Fox Lake American Legion Post #521 or to Badger Honor Flight. Add your thoughts, prayers or a condolence to Gerald's guestbook.